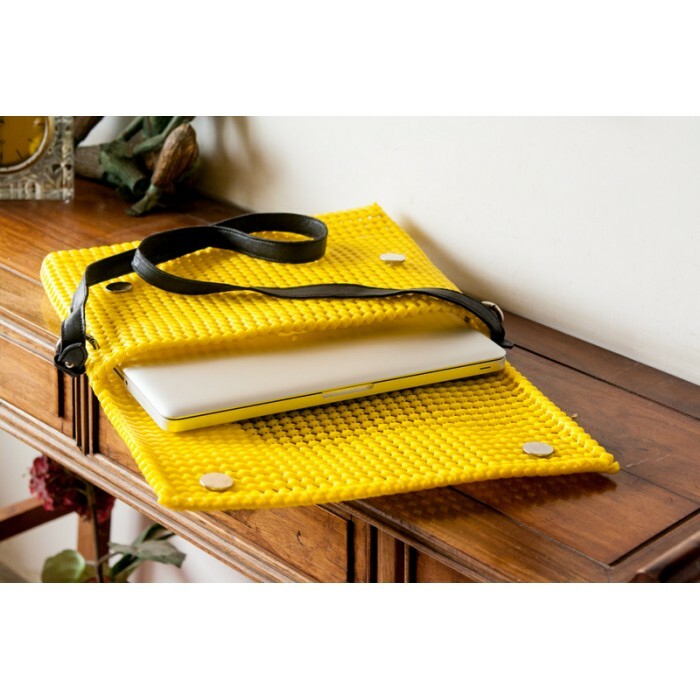 Office bag made of ecofriendly plastic wire . 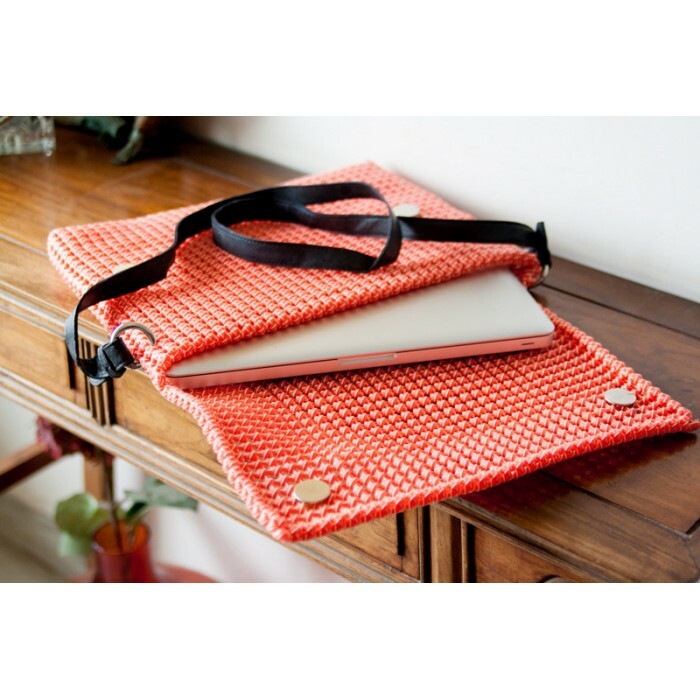 Very stylish to carry laptops or even in holidays for beaches etc. has a sheep leather handle to give a chic look.